When you’ve been working really hard to accomplish something, but then you run into a problem or something goes wrong, do you treat yourself to junk food? Are you more likely to eat ice cream OR smash an entire bag of chips? Personally, I do both because I’m a believer that we get to eat whatever we want AND have at least two hours of “pouting time” when we’re disappointed because something has gone wrong. My plan always is to limit this pouting time to just a couple of hours, but during that time I’m relaxing, chilling and eating ALL my pouting food. I only end up pouting for a couple of hours and during that time I’m also actively working through doubts, frustration or any other negative thoughts the Chief Negativity Officer in my mind is focusing on. Today, it’s likely you’ll have at least 1,000 thoughts. Actually, possibly even more. According to the National Science Foundation, the average person has anywhere from 12,000 to 60,000 thoughts every single day. That’s a lot of thoughts! Every day we need to take time in the morning to “tune” our minds so we have healthy, productive and positive thoughts for the rest of the day. It’s like tuning an instrument. But, in this instance, the instrument is our mind and we’re tuning in the best thoughts. Or, another way to say it, take time this morning to “Get Your Mind Right’. And, I’m not just talking about exercising and meditation. Don’t get me wrong, those are BOTH important things to do every morning. But, what I’m specifically talking about is taking time today to tune into the right thoughts so you can align your mind with the way you want to feel and the results you want to create today. Once I added this into my morning routine, it changed everything. I became more inspired, motivated and ready to charge forward through the day (even on those days when I had a lot of crap and problems to work through!). Lately, I’ve had to dig deep (and I mean real deep) to keep pushing and take care of the things I need to handle. On Saturday, after breakfast, I had to motivate and pump myself up for two hours before I dragged myself into my office and sat down to finally tackle my taxes. On Sunday, I pushed through the voice of the Chief Negativity Officer in my mind that works tirelessly to fan the flames of my fears and doubts that things will not work out. Yesterday, I pushed through the feeling of being so behind with work that I might as well let some things go because I was never going to get it all done. 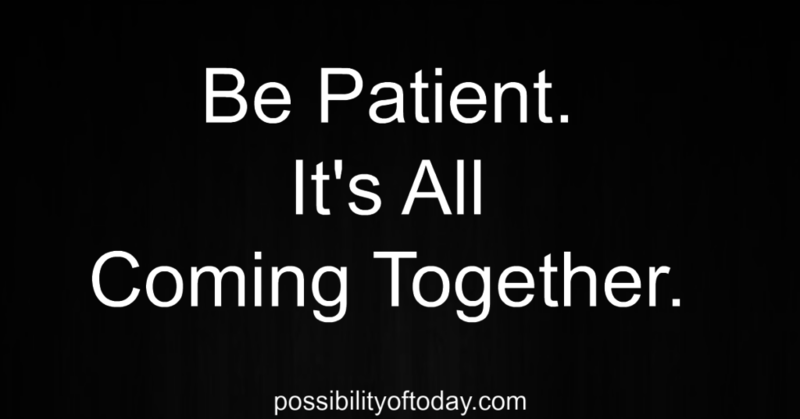 Have you ever noticed how sometimes we have to push through and do things we don’t feel like doing? Well, I’ve been thinking about this a lot since it doesn’t seem like resistance, doubts, or the Chief Negativity Officer are going away anytime soon. 2. Doubts are just as terrible. 3. And when our Chief Negativity Officer gets triggered, it can really go crazy. But, I also have to say, there really is grace underneath it all. Every single time we dig deep and overcome something we thought was too hard, or would take too long, or would never happen… something in us changes for the better. We get stronger and build our faith with each experience. We grow in all the ways we need and gain more clarity about who we are, what’s most important to us and how to keep building the life we really want. 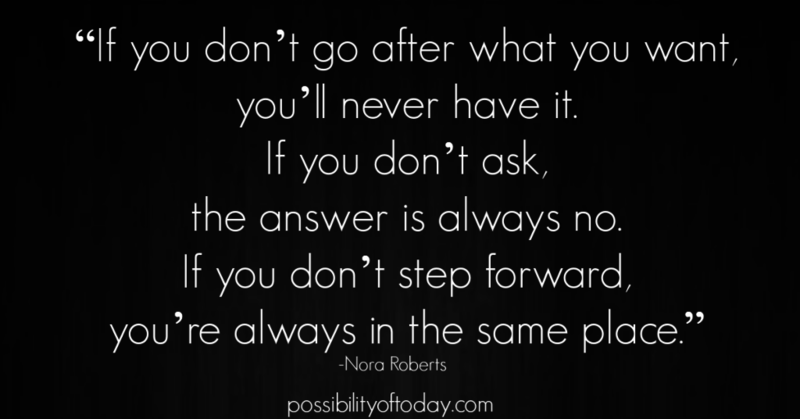 Dig deep today if you must, but make sure to take at least one step forward. 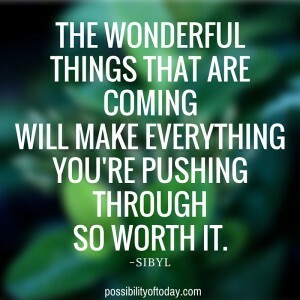 So many more good things are on the other side of what you’re pushing through. Enough is enough. It’s time for things to finally fall into place. Or, as one of my friends said the other day, it’s been a long uphill climb and it’s time for some WINS! I know I agree. Do you? Yes, as off the wall as it may sound, I’m recommending we live our days according to ancient philosophy. 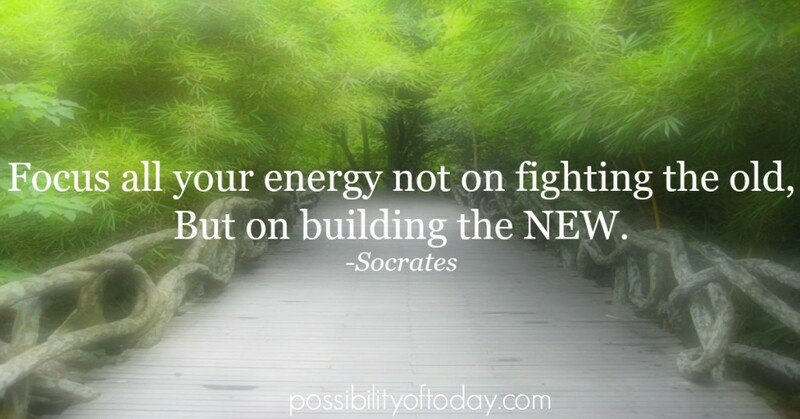 Of course, this isn’t just any ancient philosophy… it’s Socrates. That’s about as good as it gets when it comes to timeless wisdom. So, how do we practically live by this philosophy?